Zizipho Gcasamba is 27 years old and also lives in Makhaza, Khayelitsha. She studied at New Africa Theatre and has been involved in several performances, worked as an art & dance teacher since graduating in 2011. Zizipho loves performing for children and especially to see children’s’ faces light up as they enjoy the show. 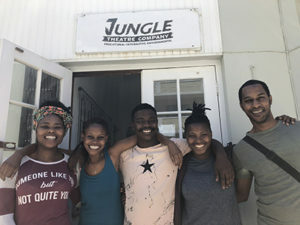 By participating in Jungle’s training programme she hopes to gain more experience in children’s theatre with the aim to give children hope and experience learning through the arts. Naledi Tlailane is 30 years of age and lives in Muizenberg. She is a Voice Over artist and has 3 years’ experience working on an Online Radio Station as a presenter and producer. She has been part of Jungle for almost two years from when she graduated from Jungle’s Creating Theatre with Children programme in June 2017. 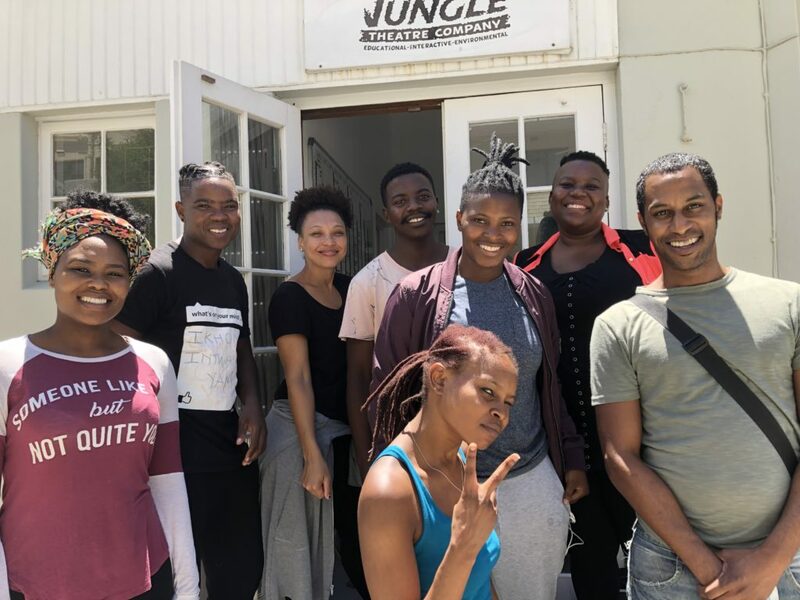 Since then she has co-facilitated the Muizenberg Performing Arts Club and more recently is performing in JTC’s new show Python and the Qunube Tree. She is very excited to be part of Jungle’s training programme with a view to positively developing young minds! Monray Davids is 28 years old and lives in Firgrove, Somerset West. Monray has been interested in the arts from an early age and was involved in the choir and drama club in primary school. He continued learning music after school and became a self-taught flautist and played in several orchestras. In 2013 he graduated with a B-Tec Diploma in Performing Arts with Distinction from Northlink College. Since then he performed in the musical Hair at the Fugard Theatre, A Streetcar Named Desire at the Artscape Arena and To Kill A Mockingbird at the Playhouse Theatre. He also worked as a recorder and drama teacher at a primary school. Monray is very excited about learning about children’s theatre and feels that he knows how to get the best out of children. The trainees will be mentored by our artistic team i.e. Ntombi Mkhasibe (Director), Joce Engelbrecht (Director), Seiso Qhola (Senior Actor), Siyawandisa Badi (Senior Actor) and management team i.e. Vincent Meyburgh (Artistic Director) and Miranda Tait (Manager).